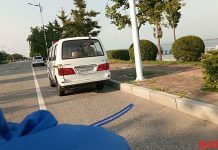 The Pyongsong Department Store is officially run by the Pyongsong Business Management Office, but in reality, individual investors (donju) and a number of trading companies are financing operations at the center and hiring their own sales staff. The city’s Business Management Office has essentially given these entities the right to operate their businesses at the center in exchange for fees, the source said. North Korea amended its Enterprise Law in 2013 and 2015 to allow enterprises to raise their own funds. These amendments permit individuals (donju) to invest in state-run enterprises. There appears to be an increasing number of enterprises and stores that are being directly invested in by donju. 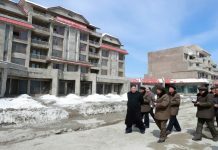 The North Korean authorities, who espouse support for socialism, do not officially acknowledge individual ownership rights or the right to own property. However, the reality on the ground is that some state-run enterprises and other state-owned organizations are, for all intents and purposes, owned by private individuals. 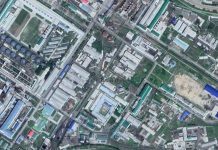 While commercial facilities directly owned by donju are sprouting up all over Pyongsong, some factories in the city are lacking supplies of raw materials while facing plummeting demand for their products, according to a separate source in the region, who cited the the situation facing the Taedonggang Battery Factory, located in Pyongsong’s Pyongsong-dong. The factory’s workers have been widely mobilized for farmwork due to the shutdown but they are also required to collect manure, with few other options available to earn a living. The factory is reportedly making efforts to improve the quality of its products, but is facing difficulties because supplies of raw materials like rice straw and wood are unreliable. 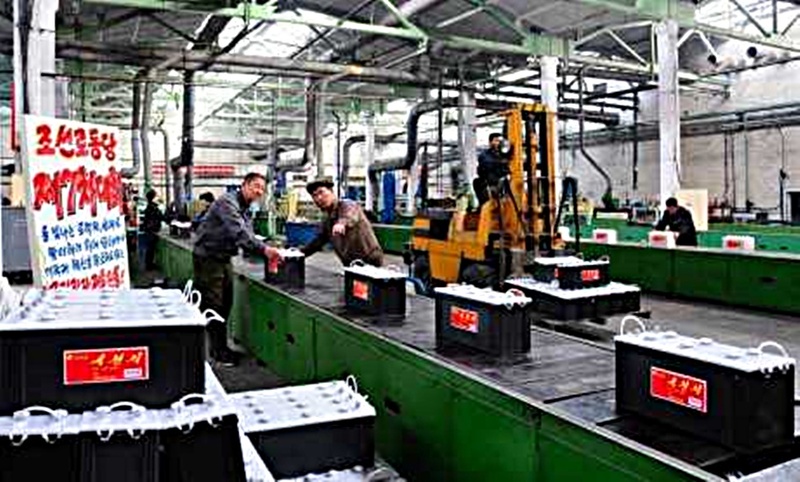 In addition, the factory has outdated technology and little in the way of funds. The second and third stories of the three-story factory are reportedly being used for private housing, while only the first floor is being used for manufacturing. A separate source in Pyongnsong also reported that the Moranbong Clock Factory, which Kim Il Sung paid a visit to in the past, halted production in the 1990s due to economic difficulties. It later signed a contract with a Japanese company to produce small transformers, but the business ultimately failed and the factory has recently shut down. Although boasting a plaque honoring its historic visit from Kim Il Sung, the factory has since ceased all manufacturing activities and its machinery is rusting. “The factory should have started manufacturing other products as soon as the demand for Moranbong watches dried up, but the factory was the only one of its kind and a site where Kim Il Sung had visited, so the managers didn’t have much freedom to change what they needed to. People are saying that the buildings of the landmark factory are just rotting,” he said.